I'm really sorry for the lack of blog posts the past few weeks. I was a little stressed because of Christmas - I had to do lots of shopping and wrapping presents and so on. I also had to plan and pack my suitcase because I'm home in Austria over Christmas break - whoo! I arrived in Vienna on monday evening and my parents picked me up. I'm really excited to be home for Christmas. And my mum already gave me a pre-christmas-present: she picked up some products from KIKO for me! 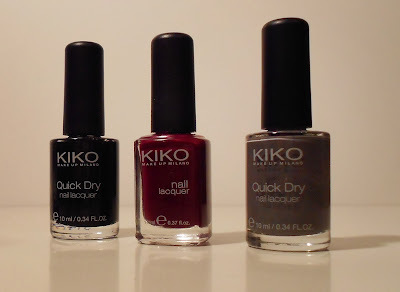 I already own some nail lacquers from KIKO and I really enjoy the formulae and they have an amazing colour range! My mum bought a lovely burgundy nail lacquer which I think is lovely for autumn and winter. The shade is called "243 Plum Red". I also got a a simple grey Quick Dry nail lacquer in the shade "818 Smoke Gray". 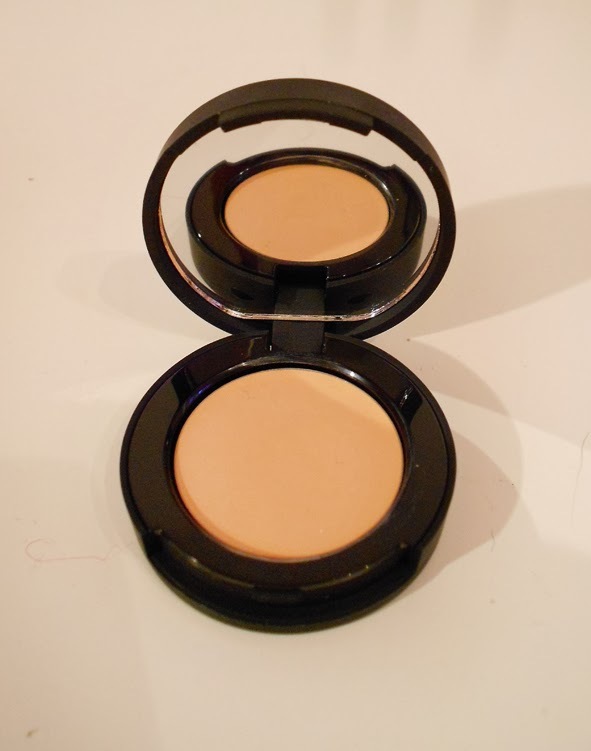 My mum also picked up a concealer for herself, but she decided she's not the biggest fan of it and she'd rather stick with her old and well-known concealer. So she gave it to me instead! She said she prefers her stick concealers because it's quicker and she doesn't want to take the time to apply it with a brush. I haven't tried it yet but I'm excited to and I'll let you know what i think about it! The shade she got is "02 Natural". So that's everything I have for today! I want to know if you have any experience with KIKO products and what you could recommend! I like the gray colour nail polish! 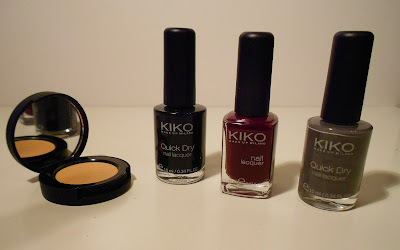 I adore Kiko,their prices are fabulous for the quality you get. 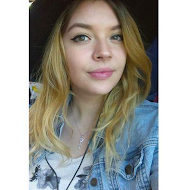 your nail polishes are lovely,i especially like that plum color. i only own three of their eyeshadow brushes but i love them! I love the middle red one!